Circuit Check began Strain Gauge Testing in 1999 when BGA/SMT technology started replacing PTH components, reducing strain levels was a reactive post fixture fabrication process. We quickly recognized that the “reactionary” process was neither efficient nor were we capable on knowing the lowest achievable strain levels. Our engineering team came up with visual tools utilized during design to easily identify areas of excessive probe force, though still not enough data was generated to identify the lowest possible strain. 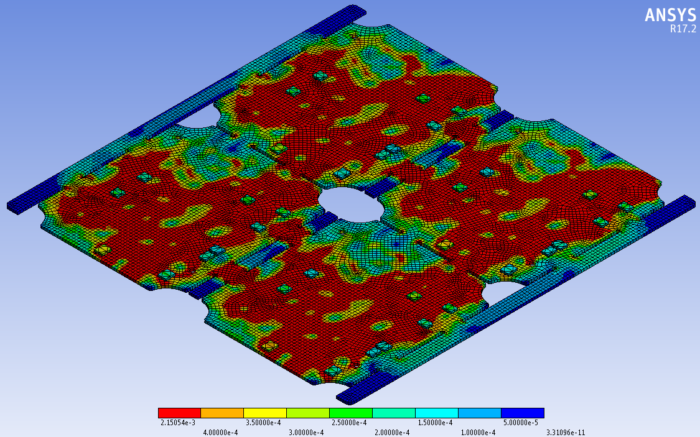 Finite Element Analysis software models the PCBA and test fixture and applies the pressures from test probes and board supports and indicates the micro strain level applied to the PCBA. Using the FEA software during our design process allows our engineers to modify fixture designs to attain the lowest possible micro strain before fabrication begins. Our leadership role with FEA services and Strain Gauge Testing was recognized by IPC/JEDEC with participation in the IPC/JEDEC-9704A task group responsible for updating the standard. The exposure to a broad range of industry experts and our seamless use of FEA and strain gage processes permeate each fixture we fabricate. 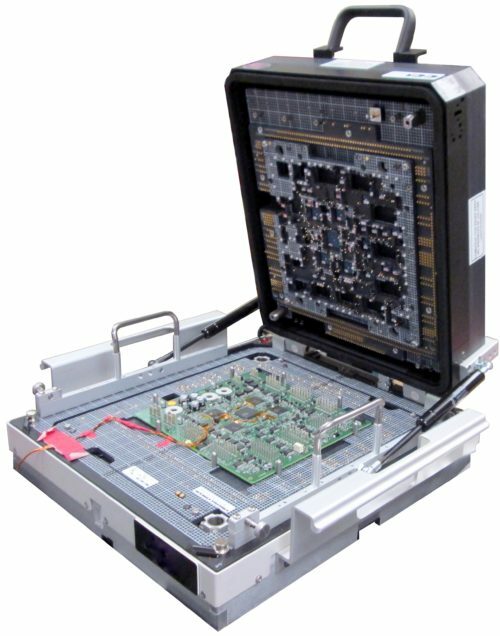 Circuit Check delivers a fully detailed strain gauge report for comparing test results to the industry standard IPC/JEDEC 9704.